Those 4 words were all Frank Oddo needed to hear. HUD estimates that on any given night, approximately 40,000 Veterans are homeless. Over the course of a year, as many as 200,000 will be without a home for a period of time. VCP’s mission is to address the underlying cause of Veteran’s homelessness. In contrast to traditional homeless services, the Veteran’s Village provides Veterans with privacy, a sense of security, and the ability to reintegrate at a comfortable pace. 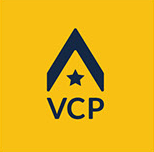 In addition to residence in the tiny-homes, VCP offers other services to all Veterans at their Veterans Outreach Center: employment counseling, resume workshops, car/home repair, clothing, food, furniture, hygiene supplies, free legal services, free transportation, counseling, and general advocacy. As you can imagine, a project like this requires a substantial amount of help. Oddo is the major catalyst for his company donating a significant amount of time, supplies, and resources to the Veteran’s Village, through both Oddo Development directly, as well as discounts and donations from many of their vendors, suppliers, and laborers. Thirteen tiny-home units, each with AC, kitchen and private bath, welcomed their first residents on Monday, January 29th. You can see video in this story from KSHB-TV, 41 Action News in Kansas City. Plans call for an additional 37 units, bringing the total to 50. Oddo projects the additional units and a 4000 square feet workshop will be completed by January of 2019. So, why the VCP and the Veteran’s Village? Oddo is an Air Force Veteran having served from 1958 to 1964, including 2 years of active duty. And the VCP is Veterans serving Veterans. It’s a perfect match. BASYS Processing, founded by Frank Oddo’s son, Brad Oddo, provides credit card and debit card processing services, and solutions that include terminals, virtual terminals, e-commerce, mobile, and point-of-sale; customized to fit any need. Banks, associations, and software partners depend on us to strengthen their reputations and relationships with their customers by providing remarkable service paired with ultimate flexibility and pricing. Merchants depend on us to make accepting credit cards and debit cards convenient, safe & affordable. BASYS was founded in 2002 on one philosophy: to take care of our merchants, partners, and employees so they never want to leave. We are dedicated to working one-on-one with our customers to design the perfect solution. BASYS is Personalized Payment Processing.